Last week, ARIN, the organization in charge of distributing IP addresses in North America, changed its IPv6 address policy so it's now possible to get Provider Independent (PI) IPv6 address space. qualify for an IPv4 assignment or allocation from ARIN under the IPv4 policy currently in effect. This is both good news, and bad news. The good news is that if (in the ARIN region) you are currently connected to two or more ISPs for IPv4, you can now do this in much the same way with IPv6. 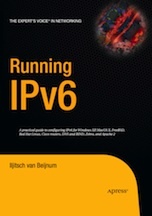 Since IPv6 routing is almost identical to IPv4 routing, all of this should be fairly easy. However, since both the routing protocols (including BGP) and the rules for getting address space are now mostly the same, this means that in the future, IPv6 routing will suffer from the same problems that have been plaguing IPv4 inter-domain routing: a "global routing table" that is much larger than necessary, requiring network operators to invest in bigger routers and causing unnecessary instability. It also means that multihoming (the practice of connecting to two or more ISPs) will never be possible for truly large numbers of internet users. The Internet Engineering Task Force has been working on alternative ways to gain multihoming benefits in the multi6 and shim6 working groups. But the ARIN constituents decided not to wait for the completion of this work, which will likely have the effect that the shim6 mechanisms won't be adopted widely or quickly when they become available. One reason cited for moving ahead with a known problematic solution for multihoming was the statement by some organizations that they wouldn't adopt IPv6 in the absence of a multihoming solution. Prediction: they won't implement IPv6 with multihoming anytime soon either. And unfortunately ARIN (and the other RIRs) still claim that you can filter out any IPv6 prefixes longer than /32 even though they give out micro allocations and now PI blocks that are longer than that, mostly /48. See my article from nearly three years ago.